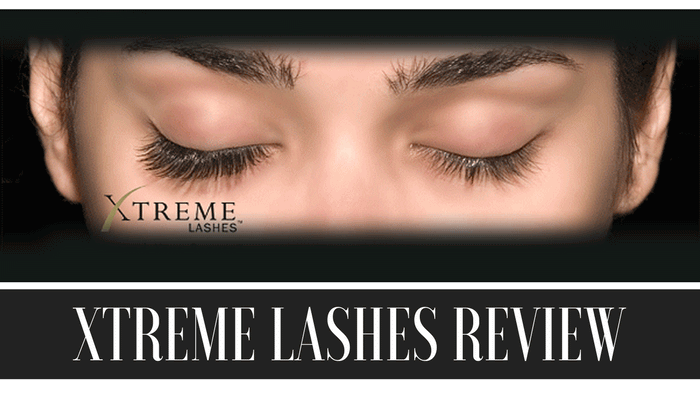 >> Xtreme Lashes Review – Proven Results or Not Worth the Cash? Xtreme Lashes promise dramatic, sultry and lush long lashes to each and every woman who wants them. Typically, long and thick lashes were achieved using false lashes in the past. Xtreme Eyelashes, on the other hand, are unlike these as it offers a semi permanent solution to lash lengthening. Xtreme Lashes are made from synthetic strands, and are used by plenty of celebrities in the United States. Xtreme Lashes are quite popular and has a number of international followers. It can only be applied by accredited stylists, which means that accuracy and expertise in the application process is guaranteed. The procedure does produce eyelashes that are long and thick, like it claims to do so. The product is not as expensive as permanent eyelashes or eyelash surgery. Results are quick in comparison to eyelash lengthening products since the effects can be seen immediately after the first procedure. The procedure lasts quite a long time, and can take as long as two hours to complete the attachment of the synthetic lashes. Also, the eyelash extension process can be quite expensive, and costs all the more because it has to be reapplied over and over again within a span of two to three weeks. The treatment is not available anywhere since you have to look for a certified eyelash stylist and there might be none near you. Also, some users have encountered problems with the extensions, such as clumps of synthetic lashes falling off along with natural lashes. Some users have also claimed that the procedure has caused damage on their original eyelashes. The synthetic lashes can also accommodate a lot of dirt, which may cause the eye area to itch as well. The glue used during the procedure may also emit strong and irritating fumes which may sting the eyes or cause some discomfort during the application process. Xtreme Eye Lashes How Does It Work? Xtreme Eyelashes are made from synthetic strands which are applied on to a person natural lashes. The process is a meticulous one as it involves the attachment of the lashes one by one. An eyelash extension procedure can be as long as two hours, and this depends on the number of lashes to be applied and the expertise of the stylist. Eyelash extensions by Xtreme Lashes are only done by accredited and certified hairstylists who have gone through the companys hands-on lash extension training. All sales of the product are available from accredited health and beauty professionals, so you can only get the extensions from legitimate individuals who have been trained to do the procedure. Eyelash stylists are trained to design and style your lashes to meet your desire and needs. Since the eyelash extensions are attached onto natural lashes, they also fall out when the natural hair does, which is typically after sixty days. There are refills that can be used every two to three weeks, which work to replenish the lashes that have fallen on a daily basis. Procedures should be done every two to three months to maintain the thickness and length of the lashes. The glue used during the process may cause irritation or allergic side effects. Aside from that, there are reports about eyelash clumping and falling off of lashes as well as eyelash damage after undergoing this procedure. Almost all women want beautiful, thick and long eyelashes and the prospect of getting quickly getting them through semi permanent procedures may sound interesting for plenty of women. While Xtreme Lashes sounds quite promising, one has to take into consideration the disadvantages that come along with the procedure before pushing through with it. If you think you can brave the strong irritating fumes or the possibility of developing an allergic reaction or of having eyelashes clump out and fall, then you might want to try the product. But if you want long lashes but want to take a safer route, then Xtreme Lashes are not the product for you. I loved them, but they are WAY too expensive. Hundreds of dollars a month. I’m vain and have a decent salary, and it’s still not worth it. I’ve recently let them fall off, and now my lashes aren’t curled anymore. I never understood what people meant when they said they had straight lashes, now I do. My lashes are long and straight, so you can’t see them. I did extreme lashes for 2 separate long periods of time, the first time I stopped was due to an extreme abrupt allergy to the glue (dermatologist confirmed the allergy). The second time, I stopped due to the price. I use a different glue then before, so no allergy, but it was costing several hundred dollars a month and took so much time. Think again if your planning on purchasing there products to do lashes on the side or in your business. DO NOT purchase the training program or kit! Read the fine print before you buy there products! Xtreme lashes company can take away your license YOU paid for and ask for ALL the materials back you purchased for any reason, at ANY time! There products are cheap quality and the company just suckers you into making huge purchases that aren’t in the best interest for your company. Other lash companies have better, stronger glue that lasts longer! Again, dONt WASTE YOuR TIME OR $ WItH THIS COMPANY!!!! I got these lashes last week and will schedule a refill in 2 more weeks which is not hundreds of dollars. I smelled no and I repeat no fumes while the procedure was being done. I have not had a reaction but that of course does not mean that others won’t. So far loving the lashes mine are short and thin she added 3 to 4 mm making me look like I have nice lashes. Unless I loose them much faster than the 3 weeks I would recommend at this point. It did take 2 hours to get them on and I was told it would take 1 hour for the fills. I had my 5th top-up recently. Normally I have a girl who’s been great, quick, efficient and it ‘did what it said on the tin’ and I did (and do) love them – just fantastic. However, the last two times when somebody else has done it, I’ve ended up with severe eye problems. The first time I didn’t know for sure if it was the procedure or something else, but my eyes ended up severely blood-shot and I got accute allergic conjunictivitis. I went in again yesterday and within 4-5 hours my eyes were extremely irritated, bright red and very swollen. I now have accurte allergic conjunictivits again (which I have never had before in my life until these last two times)! I am not sure if it’s the different technician, procedure, materials, an accumlated intolerance to the glue or lashes, or hygiene of instruments. However, it is concerning…. Last week I located a certified Xtreme Lash artist and was pleasantly surprised to find that she provided a free consultation where I learned about the lash application process, care and maintenance. Additionally, she applied a mini-set to try on for a few days to see if I was comfortable with semi-permanent lashes (the length, appearance, care), as well as to make sure I did not have any allergic reaction to the adhesive. There was no unpleasant smell or fumes and no eye irritation. It took 1.5 hours to finish the set and so far I love being able to get up in the morning, not worry about applying make-up before I head to work. Then going to the gym afterwards and not worrying about make-up running while I get in a great work-out. It has been a huge time saver. The re-lash is also a quarter of the price of the application. Totally worth it if you are a busy professional, but want to look well-groomed and put-together with minimal effort. I have used Xtreme lashes and they’re wonderful. If you get a good, professional tech, the lashes are absolutely beautiful. I’d love to have them again. I had them for 2 years and loved them sooooo much! They’re not cheap but they’re well worth it if you have the money. I have had Xtreme lashes for over a year. The person who does them is very exacting and professional. I go every two to three weeks for a fill. People remark about how beautiful my eyes are regularly. I love not having to use lots of mascara daily. The cost is not prohibitive. I have never smelled the adhesive or had a reaction to it. There are no clumps of adhesive. As with anything, it depends on how good the person is who does the procedure. As to them being dirty, a lot of make up and mascara are worse. I love them and hope to keep using them for years. I got these eyelash extensions because my friend had them and they looked wonderful. They have all fallen out by now (4 weeks later) ALONG WITH MY NATURAL LASHES. My lashes were thick and long before, and despite the extensions making them longer and thicker than before, I want my old lashes back ;( I am very upset and hoping they grow back and are not permanently damaged. My Xtreme lash first time experience well very well! I got it done in Westfield NJ. The application was done while relaxing/soothing music was being played. I did not experience any fumes or irritation and I have sensitive eyes. My cost for it equates to a mani-pedi and a wash & cut. I love the look and it’s so natural looking! Lora you’re the best and I’ll be back!!! I would say for anyone thinking about getting lash extensions of any kind. Think long and hard over the decision. Do you have that kind of money to drop? If so, do you have the time for 1-3 hours that it can take every two or three weeks? Are you ready to have your own lashes fall out only to come back thin and straight? If you never had decent lashes give it a try. If you have decent lashes now leave them alone and get high quality mascara to enhance them.I have had lash extensions for over a year now and really want to stop with them, but now my old beautiful lashes have been replaced with thin weak lashes, so I feel naked without my extensions. I found this site because I was looking for reviews on the lash regrowth formulas and wanted to see some honest reviews. I hope this has helped someone who might have been considering lash extensions. Yes they look beautiful when you have them, but it is a serious time and financial commitment you must be prepared for. I have had lashes for over 2 years. You have to have a professional apply them. If they are good they will know when your lashes are weak and apply thinner lashes. Also, you should take them off once a year and take a break during a time when you don’t have many social events. I run, swim and bike with mine and love them. Your own lashes fall out every 30 days. If you a are considering removing lashes for good and are concerned about thinness and straight lashes then give it a few months to regain your growth. However, if you have straight lashes then your extensions will be straight too. The cost is worth it to me. I pay 75 bucks every 3 to 4 weeks. I love not having to put makeup on! I really enjoyed my extreme lashes when I first got them. The tech that applied them was very professional and she was very confident in what she was doing. The glue was strong when she them, so I am not sure if it was the glue or the mink lashes used. But about two days later my eyes were itching like crazy, I kept snezzing. I look like I had pink eye, I tired about 3 differnet eye drops and nothing happen. About the 5 day I was okay. I kove then so much i did it a second time. I have trained with xtreme lash but stoped because I had a family emergency and adopted a child. I did call them because i had a credit and payed to get certified and this was 2yrs ago. Now that im ready again to use my credit they are telling that I no longer have it since I’ve been inactive. I have invested so much money into this company. They are all about the money and not about their students.